Over paperwork? With a smart & intuitive interface, see how tradietech can add value to your business while making your life that bit easier. Magic. Tradietech is an online workflow management system designed to make keeping on top of paperwork a breeze. 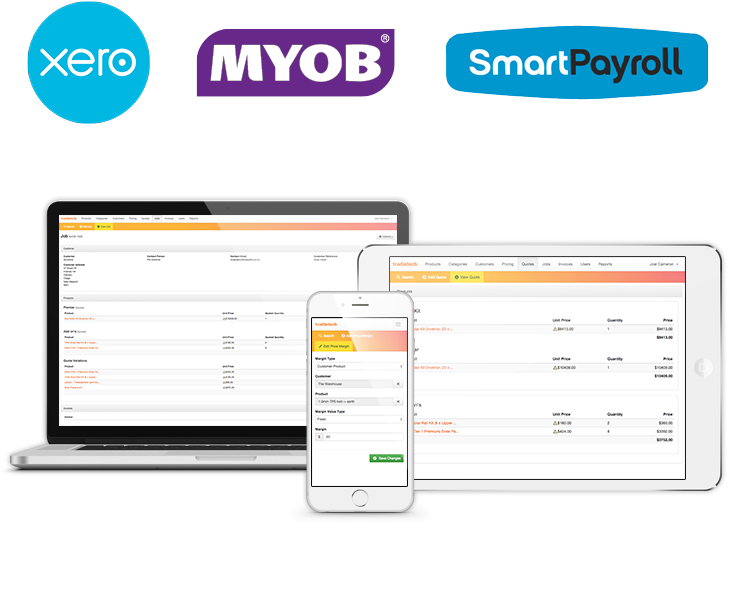 Developed specifically for the trades - whether you're a one-man band or established firm - it's pricing, quoting, invoicing and job management made easy. Smart & intuitive yet simple to use, our customised and continually evolving software is compatible across all devices allowing you and your team to keep on top of things in the office, on site, or on the fly, while affording your business that competitive edge. Integrated with live supplier information for accurate pricing. Presentation tools for that competitive edge. Suitable for a one man band or established trades firm.